I love this pic! Strange house whereby the exterior walls are in need of of a paint job, yet the front door looks new (possibly plastic?) and then there are the kids swings and slide and TWO satellite dishes! Extraordinary, and an excellent capture. 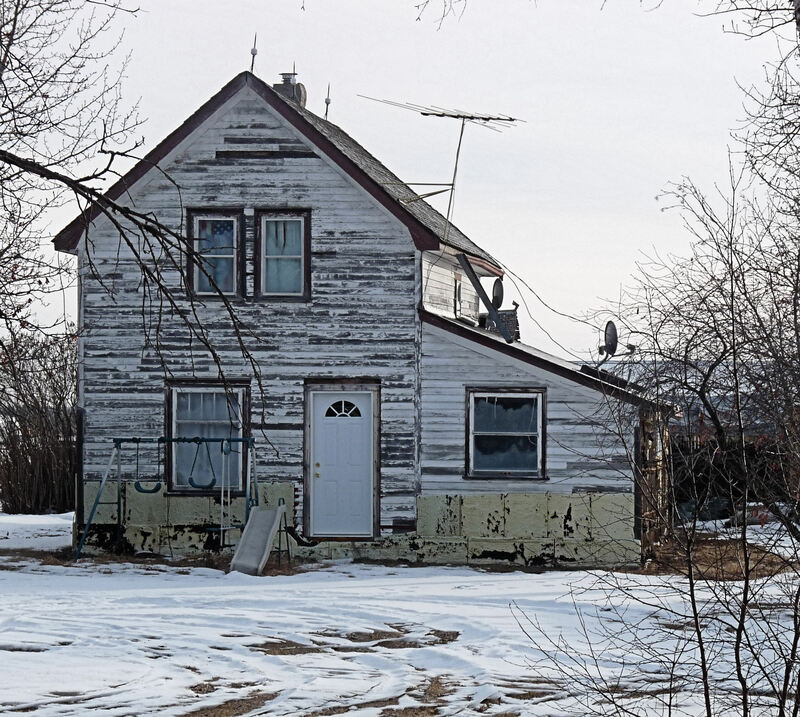 thanks kindly Mark for your comments…just one of many Alberta rural farm homes that have this sort of look.